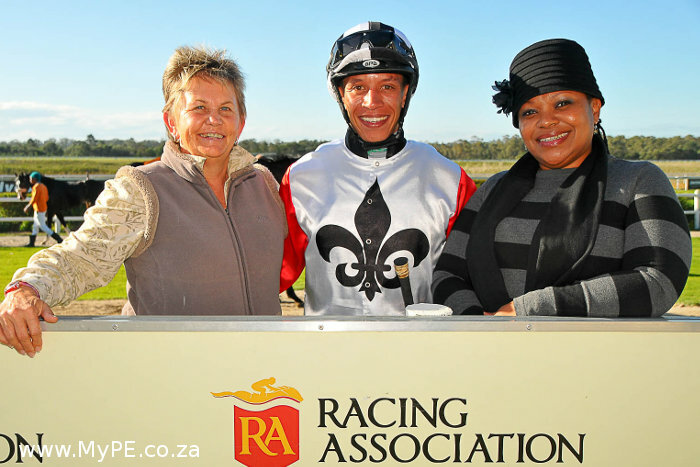 Nelson Mandela Bay Tourism CEO, Ms Mandlakazi Skefile visited Fairview Race course ahead of the festivities to get tips from winning team, assistant trainer Dorrie Sham, jockey Karl Zechner and winning horse Leodocus. The Mother’s Day Prawn Festival at Fairview racecourse on Sunday May 10 will provide the perfect opportunity for offspring to spoil their Moms. Last year’s event was extremely well attended and turned out to be one of Port Elizabeth‘s best family day occasions of the year. Algoa FM will be broadcasting live from Fairview from 09h00 to 12h00 and plenty of additional entertainment will be provided while the race meeting is in progress. There will be a Mother’s Day market at the bottom of the grandstand where a variety of vendors will be advertising and selling their merchandise. The proceedings will be peppered throughout the day by lucky draws sponsored by Makro and the Nelson Mandela Metropolitan University will stage both a fashion show and fashion competition. The little ones will also be provided for as there will be a Kiddies Play area and pony rides. Guests booked in the HB Christian Room at R300 per person, will receive a VIP luncheon, welcoming wines on their tables as well as race-cards and gifts.